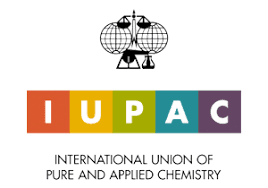 The International Union of Pure and Applied Chemistry (IUPAC) hosts a biennial World Chemistry Congress to provide a meeting place for chemists from all over the world to network and discuss issues that affect us all. In 2013 the Brazilian Chemical Society put forward a bid to host IUPAC 2017 – the first time this world class event would be hosted in the southern hemisphere. So from 9–12 July, São Paulo welcomed 3512 attendees from 66 countries. As well as panel discussions and lectures from high-profile guests, students presented their findings as part of a poster competition every afternoon, creating a vibrant environment. The lectures were presented in an unusual way and it was a great experience! There was a huge main lecture room, where eight presentations were given simultaneously with no walls. If you happened to be in that space you could move from one section to another, switch your headphone channel and move to the next audience. It was a great example of technology working in our favour. Even if it felt uncomfortable at the beginning, in such a connected world the experience gave a taste of the future. And the future was a hot topic, which we were in a position to contribute to strongly. On the opening day of the congress we organised a panel discussion about the Future of the Chemical Sciences (FCS), which discussed in-depth our FCS report. Prof Paulo Cesar Vieira, former president of the Brazilian Chemical Society, was the moderator, and eight representatives from different societies and associations, including our president Sir John Holman, formed the panel. The panellists gave their views on each of the core discussion topics of the report. Prof Liane Rossi from the University of São Paulo, who was in the audience, said: "We should take this presentation from John to the Brazilian government, especially the Ministry of Science & Technology as well as Education, to make them understand the importance of education in science for the future of this country." I think this means we accomplished our goal! Another highlight was the plenary lecture by Nobel laureate Sir Fraser Stoddart HonFRSC. He talked not only about chemistry, he talked about life: the importance of the values he learned as a child in a simple and humble family; his achievements in chemistry thanks to students, and most importantly the way he sees humankind. He left us all with some great advice: show respect to others, especially if they didn’t have the same chances as you did; be good and kind, and look around. I believe he summed up the importance of Inclusion and Diversity very well and the result was hugely impressive! We also sponsored Professor Clare Grey, from Cambridge University, as the Royal Society of Chemistry's plenary speaker, and her talk was outstanding. The question and answer session afterwards could have gone on endlessly! We also sponsored four UK-based early career researchers to attend the General Assembly and Congress as part of IUPAC's Young Observer scheme. All four participated enthusiastically, and have already identified IUPAC activities in which they would like to get involved. "As a Young Observer, you have the unique chance to have a look behind the scenes. We learned IUPAC is divided into eight different divisions and your first job, under guidance of your mentor, is to find your 'home'. In my case this was Division IV, focused on polymers. The people in Division IV were very welcoming and were actively involving Young Observers to participate, directly assigning us to projects and extending invitations for social events. This also gave me the chance to meet some of my personal heroes (names behind the papers) in person. "I have been officially invited as an Observer to the Division IV meeting in Cairns next year. This means I can continue contributing to IUPAC and the first project I am working on is the use of Wikipedia for Polymer Technology terms and tutorials." The IUPAC General Assembly took place during the same week. It included a World Chemistry Leadership Meeting, which was opened by our external relations manager Ale Palermo. Her presentation gave more insight into the research behind the FCS report. She was later contacted by a young member of the ACS who attended those talks, who said, "I want to thank you personally for the support and confidence you have in young chemists and their ideas. Your enthusiasm for the future and the way you approached both your talk and the Young Observers projects was very inspiring." It’s great to see that our forward-looking approach is giving those coming into the field confidence that they are supported! It was a great assembly and as a Brazilian I was very proud to take part.